This entry was posted in Pretty Guardian Sailor Moon Crystal (2014), Voice Actors and tagged Hisako Kanemoto, Sailor Mercury, Sailor Moon Crystal Phase 4 - Dream by Adam. Bookmark the permalink. Do we even know when the Stars arc would eventually happen? Would it also be two movies? Will it also take until the heat death of the NEXT universe? I empathize, Nelson. I’ve long wondered, what if Crystal does end up going from episodes to movies, and then *back* to episodes? Odd to think about. Speaking of odd thinking… Plot twist! The Sailor Moon Crystal adaptation of Stars, in the year 2047, will turn out to be pachinko machine. What the hell? I don’t wanna talk about the universe! I hope they cover everything in the manga and the movies arent rushed. I wonder when we’ll even get NEWS of the fifth arc. 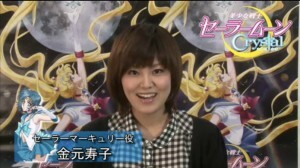 O Fearless Leader of Sailormoonnews.com, I always loved your dry sense of humor. The sarcastic jokes made this a fun read, despite the frustrating truth that Sailor Moon Crystal has been in suspended animation for… yeah, nearly three years ago. Disney’s “DuckTales” reboot had premiered, would air more than one season worth of episodes and counting, and is continuing strong–all since Sailor Moon Crystal took time out. Astounding! 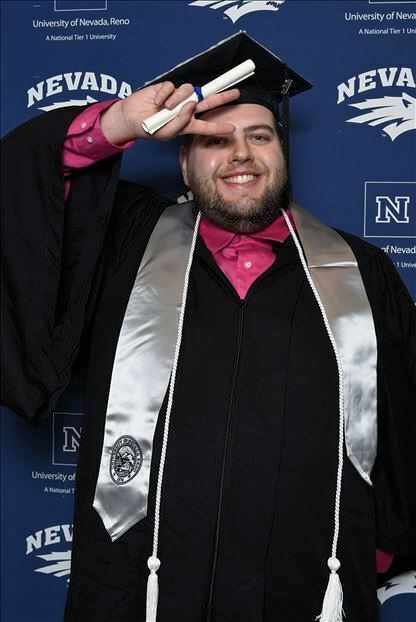 … and I actually did a certain pose in my official graduation photo. I never claimed to be handsome, mind. The mere idea of rejoining a college, changing my major, taking the remaining classes, AND graduating all before a single, new episode/movie of Sailor Moon Crystal could be released is frustrating and amusing to me. Heh. Quite an accomplishment. Nice hat! Thank you, Adam! Each sticker represents a different friend, event, or something or other. Example, my best friend is represented by Simba, who’s directly above a Nevada Union sticker—the high school we attended, together. Thank you for letting us know ! I too have a picture to share of me, during the time between season 3 and waiting for 4! I can happily say I lost some weight during this time. Thank you, Saintfighteraqua! And what a photo, indeed! It’s almost as if you look uncommonly like a stock image of a skeleton! Oooh, that is a compliment of the highest order! Waiting for Sailor Moon Crystal has done wonders in my life. 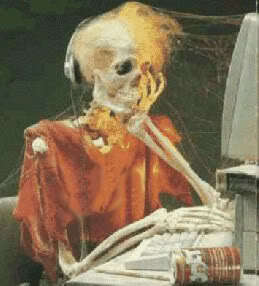 Now, instead of doing silly, meaningless tasks like eating, sleeping and hydrating myself or furthering my goals and dreams, I just wait here on this website, hoping for news. 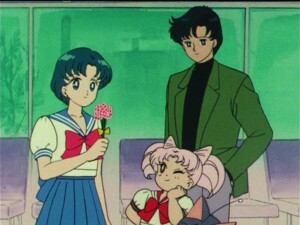 “Waiting for Sailor Moon Crystal” is an adaptation of “Waiting for Godot,” and we are all living it. As for you, I’m glad you’ve confirmed my suspicion: You *do* hydrate yourself, especially with the literal “aqua” in your handle. Yes. If only one of your goals and dreams involved me smiling and waving at you, I would happily acquiesce. That picture of you, Saintfighteraqua, makes me think of only one thing. A song. An Elton John’s song. * That “you” can refer to Toei, or Sailor Moon Crystal, as you like it, or whatever else you want. Wow, I really like your cap, Joseph “Mad Hatter” Layton! My favourites stickers are the castle (Sleeping Beauty? Disney?) and of the wolf. It’s all cheerful and lively. As for your “certain pose”, you really got it, and we can see your joy of being graduated. 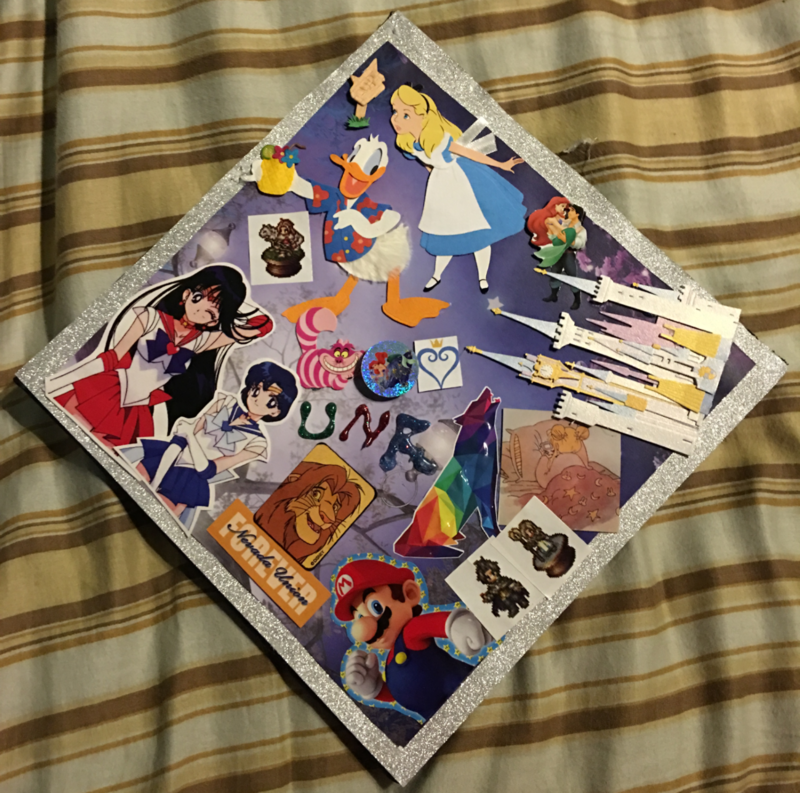 Please, again, and this time, à la Mad Hatter, let me wish you a Very Merry Ungraduation! Aw, thanks, Aurélia! I thought of you and your husband on that day. I may be Professor Joseph, the Mad Hatter, but I have a heart. Yeah, the Cheshire Cat’s out of the bag now. “Alice in Wonderland” (1951) is my favorite movie, but Donald is my other favorite cartoon character. The colorful UNR is the name of the university (Reno), and I tried to crudely write it as if it were done by Crayon. But with an awkward hot glue gun, I didn’t have to try at all to make it look crude! The mascot of UNR is a wolf (Wolf Pack), so that sticker you like is “wolf pride.” The castle is technically supposed to be Cinderella’s, but I used it to represent all the family and friends who live in my “kingdom” of life. That’s my big catch-all for everyone else, who didn’t get personal stickers. (Actually, the castle also represents online role-playing forums, which was a hobby of mine for ten years, until I retired from it.) It’s also worth noting that the official colors for UNR are blue and silver, hence the silver lining and bluish backdrop. So, stickers represent someone or something important, especially during my time in UNR. I’ll just rattle off some of the meanings behind the stickers, if not every single one. -Ariel is the most recurring character because she represents the most people. Three close friends of mine, two of whom I met during my college experience, love “The Little Mermaid,” and each of ‘em wanted to be represented by Ariel herself. So, she’s on the thing twice, one as a cap topper, and another with some guy getting his legs sliced off by one of the castle’s towers. -The Sailor Moon character stickers might be the biggest no-brainers to y’all, but Sailor Mars is the favorite of one of my best friends, again, whom I met during college. Sailor Mercury paired with her represents us. I already mentioned my best friend represented by Simba, on top of the high school we attended. 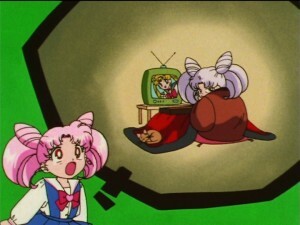 -Usagi playing with her GameBoy when she’s supposed to be sleeping. Exactly what I did for countless nights, with a Nintendo DS Lite and then the 3DS. -The muddy sprites of three characters, though one of them is beside Donald, are characters from “Octopath Traveler.” One of my dear friends (also met him in UNR) has a favorite character from that game, and she’s the one closest to the top of the cap. He graduated in late summer, just a few months before my ceremony, so I “walked” with him, with his representative sticker on my mind. -I love Mario. ‘Nuff said. I even dressed up as him for my final Halloween in UNR. -The Kingdom Hearts logo signifies my last “major” gaming accomplishment just before being accepted for graduation. I 100% that short game, “A Fragmentary Passage,” on Critical Mode. I ended up liking this brief experience more than Kingdom Hearts III’s entirety! -Finally, the sign that Alice is glancing at is “UP.” ‘Cause I can only go upward and onward from that time! That was my logic. Of course you have a heart, Joe! And you proved it with your incredible cap in tribute to your friends and your university . Also, again, thank you dearly for thinking of me and my husband from accross the ocean on that very day! I thought of you, in return . Amazing how Internet gives us the opportunity to share a bond with people from all over the world we, unfortunately, shall surely never meet in this life. As I already wrote in another comment, it’s tragic yet beautiful! For an outside viewer, your stickers look like simple avatars of popular culture, but it’s great to learn that they’re not so “simple”, and that hidden behind each of them, lies a rich story of friendship! Also, I had remembered the fact that your favourite Senshi was Mercury, while your best friend’s favourite Senshi was Mars . You had told me so during a discussion in which I had revealed that Mercury was my second fav’ Senshi though I hated blue as a color, and loved red while disliking the classic anime depiction of Sailor Mars. Fire and water, what a perfect pair of complementary contraries! As for Sailor Jupiter, do not worry: send her a box of homemade cookies with a flower bouquet, and she’ll forgive you, I tell ya! Of course, do not forget to include a signed photo of you, for she still wants to have an autograph ! Daw, shucks! That’s a very sweet sentiment about being connected by Sailor Moon fan love, even if physical meetings are either unlikely or impossible. Very cool! Oh, Sailor Jupiter! She shall have her cookies. If I had things my way, I'd have included all the Guardians on the cap. Sadly, space was very limited. Thanks for the reply! 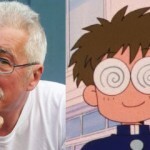 This famous picture of an old Sailor Moon says it all! It’s the icing on the cake of this article . By the way, the Dream arc takes so long to come to us that we have all the time of the world to go study abroad and get back with at least ten PhDs. I’d better get a statue of myself erected in some university, so even if I should die before Sailor Moon Crystal is properly finished, I’ll have a dapper statue of myself, standing and Josephlike. And, yes, make sure I’m wearing a top hat! I’ve watched the entirety of the live-action Sailor Moon as well as Le Mouvement Final (the only musical to be screened in America) since 2016. 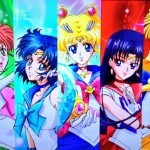 I expect to have seen all 200 episodes of Sailor Moon by the time the Crystal movies are ready. I’ve been working at it for 20 years. Wow, I did not realize it has been that long already. I never got into Crystal or finished watching it but as a fan of Sailor Moon I feel bad for others who have been waiting so long. I think I would definately watch a re-do of SuperS, though, since the original left a lot to be desired. I hope Sailor Moon Crystal movies come to theaters this year. Since June 2016? Let’s see…got a full time job that I’m still at, got my novel accepted by a publisher, got several short stories accepted by various publications, finally passed my driver’s test, bought a car, finished another novel, edited the first novel at least two or three times, and…I’m going to stop there. That’s a lot. 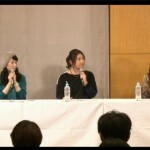 I hope SMC will start making progress soon. I don’t want to have my next car or several more books out by the time the first movie starts production. Congrats! What’s the name of the first novel? 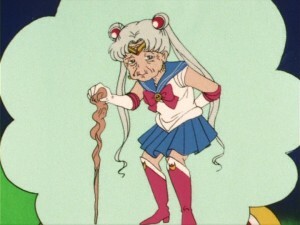 Trying to apply silly timelines like human mortality and the death of the solar system to Toei. Obviously, they are waiting for the last of us Sailor Moon fans to die off so they can release it and when there’s no one left who cares they can say: “Well, making Stars would be a waste of time, at this point! Let’s just do Precure series 457 and focus on disappointing the One Piece fans with lousy animation per status quo! It’s funny but in reality it’s entire possible the series will outlive us. I was born in 1978, a year after the original Star Wars. As a child I thought may be they would go to 9, and maybe go back and do 1-3, but imagined it would all be done in the next 10 or so years. Now as an adult I am starting to come to terms with the idea that Star Wars may be something like James Bond, where the series will continue potentially long past my death to the point where no single person alive would be able to claim to have seen “all” the Star Wars movies as they came out. 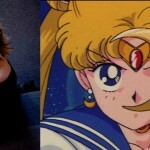 This could be the case for Sailor Moon if interest persists a century past the character’s original creation. Look at Sherlock Holmes, Mickey Mouse or Tarzan for examples of characters who have such staying power, not to mention older myths like Santa Claus, Hercules or Thor who still fill theatres. Somehow both inspiring and depressing. Yes, even outliving a creator is no guarantee you’ll see all the work connected to them! The creators waited too long, “The Snap” already happened and universe is turned upside down. Joseph- that graduation cap is sick!! What a cool freaking idea. Starfighter- I really want to feed you a burger… I’ll even give you half of mine. Thanks, Matt! Very kind of ye. I admit, I did stand out like a sore thumb. So many people opted for usual or expected cap themes, especially ones with inspirational quotes. Like, “She dreamed she could do it… so she did.” Very pretty, sure, but I went whole hog for, what I dubbed, “Carefully Messy.” I went for a “high school yearbook” kind of approach.